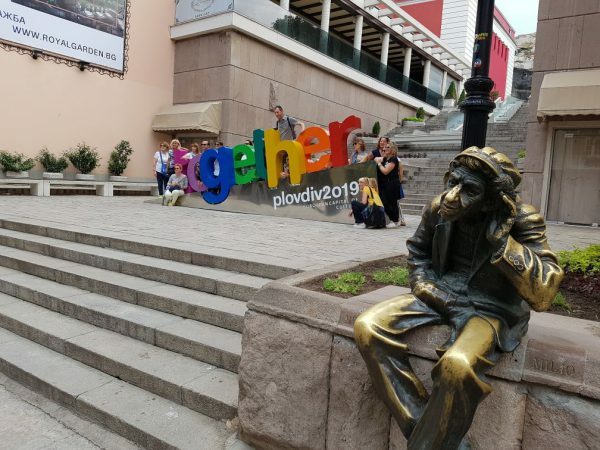 The city of Plovdiv is one of Top 10 travel destinations of the world in 2019, rated by the Independent magazine. One of the main reasons why the Bulgarian city attracts the Global attention is the title European Capital of Culture for the next year. Plovdiv is rated next to places like Rotterdam, Osaka, and Charleston, and countries as Cambodia, Bosna and Herzegovina, and Japan. Plovdiv, also known as the “City of the seven hills’’, is the oldest European city still existing today. It was called Philippopolis in the IV century B.C. in honor of Philip II, the King of Macedonia. The place offers lots of layers of history from the ancient times till these days. The Old Town of Plovdiv impresses with the houses-museums of the Revival period like the Ethnographical Museum, the Ancient Theater is still in use for different cultural events. If you choose the Bulgarian Town as a preferred destination in 2019, you have to explore these sites. Plan your visit to the Bishop’s Basilica and Late-Antique Mosaics of Philippopolis. The two sites were included in the UNESCO tentative list for world cultural and natural sites in 2018. Arrange a mini-trip to the colossal tomb pyramid of Maltepe. The structure was discovered in the summer of 2018 by Bulgarian archeologists at the excavations of the largest mound on the Balkans. It is located 20 km away from Plovdiv, Bulgaria, and already 8 meters from the southern wall are revealed. And at the end of an active day around the town or its surroundings, reserve some time for a glass of wine. Wine Enthusiast ranks Plovdiv before traditional wine destinations like Provence in France, Sicily in Italy and Marlborough, New Zealand. The programme of Plovdiv is structured in four platforms – Fuse, Transform, Revive and Relax. They are related to the typical features of the city, its cultural heritage, problems and stereotypes of overcoming and many others typical features. The selected highlights include some of the most interesting programs and events from the platforms. “European Odyssey 2019. The Travelling Man” is a large-scale show based on Homer’s work. The spectacle will give theatre people from various countries an opportunity to explore the myth about Odyssey – an immortal poem about man’s journey towards a light, about the finding of life’s meaning and its return. The bread will be the center of events united in the project ‘Various Together – Sharing Pieces of bread and Stories’. Popular foreign culinary people will present recipes for bread from their countries and will share the challenge of being a foreigner in Bulgaria. The Ayliak Parade which will have its second and special edition where hundreds of participants with specially designed costumes, leading giant self-made puppets, will create the most colourful and happy procession on the streets of the city. “Together in the Circle of Paneurhythmy – a Harmony of Body, Mind, and Spirit” is a project that is searching for the point between art and physical activity in paneurhythmy, which combines movement, music, singing, and meditation. Plovdiv is the first European Capital of Culture that uses the Cyrillic alphabet. The main concept of the project is the popularization of Bulgarian forms of Cyrillic fonts, the use of the ECOC initiative as a platform for popularization and the official introduction and adoption of Bulgarian fonts, as well as the transformation of the urban environment. The Children City project is an artistic intervention by German artists which will invite all children of Plovdiv to join the hands-on construction of their Children City. Children can become active participants of city planning, architects and builders, supported by the expertise of professionals. The Street Masters’ Festival unites a series of events about urban culture and street art. The programme includes beatbox and hip-hop competitions, graffiti, concerts, a film programme, and dance pieces of training. NIGHT/Plovdiv is one of Plovdiv’s most enduring projects. The program includes several modules related to the main cultural institutions in the city, the public spaces, and clubs. Plovdiv Jazz Fest is an international music festival for jazz music and culture. The Fest which is a successor of a ten-year tradition of the Plovdiv Jazz Evenings welcomes each year in Plovdiv some of the world’s most influential jazz artists.